There is a wide monetary gap between the elected representative and the voter. The average asset of a Lok Sabha MP is worth Rs 14.7 crore. The average rural household asset is worth Rs 10 lakh. This means that an MP on average has 147 times the assets of the average rural household. NGOs Association for Democratic Reforms and National Election Watch on Thursday released a report analysing the affidavits of 521 MPs submitted before to the 2014 elections. The asset details are based on their disclosures. Seats are vacant in 22 out of the 543 constituencies. This was compared with the data on household assets, based on the National Sample Survey Office (NSSO) survey. The NSSO noted that the average rural household had assets worth around Rs 10 lakh. It was around Rs 23 lakh for the average urban household, according to the 2013 Household Assets and Liabilities report. The NSSO report mentions that the poorest one-tenth of rural and urban households had assets in a few thousand and a few hundred rupees, respectively. “The lowest 10 per cent of India’s rural households (in terms of total assets) had an average asset value of Rs 25,071. 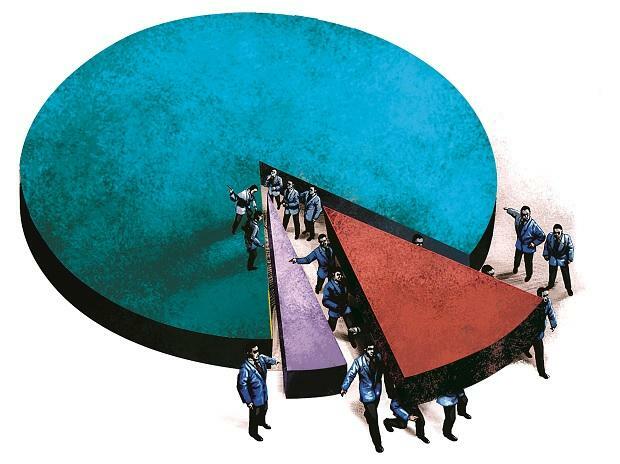 The lowest 10 per cent of the urban households had an average asset value of Rs 291, implying that poorest (in terms of assets) urban population is owning very little assets (as durables were not considered as physical assets in this round),” said the NSSO report. There is a wide variation between richer and poorer MPs, too. The wealthiest have assets running into hundreds of crores. The poor have a few thousand. The top three wealthiest MPs are politicians from Andhra Pradesh and Telangana - Jayadev Galla, Konda Vishweshwar Reddy and Gokaraju Ganga Raju. They have declared assets of between Rs 200 crore and Rs 700 crore. The poorest is Sumedha Nand Saraswati (Rs 34,311), followed by Uma Saren (Rs 4 lakh) and Mohammed Faizal P P (Rs 5 lakh). As many as 24 sitting MPs, with assets worth more than Rs 1 crore, haven’t disclosed income tax details, according to the report. The report also had data on criminal cases. At least 33 per cent sitting MPs have declared criminal cases against them in their affidavits -- 106 are named in serious criminal cases including those related to murder, attempt to murder, communal disharmony, kidnapping and crimes against women.